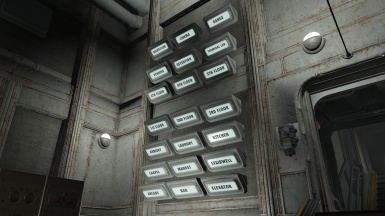 Adds lots more signs (both powered ceiling signs and wall placards) for building in Vault 88. Also makes the signs snappable to doorways. PMB, author of "Vault-Tec Workshop Overhaul", whose .NIFs I looked at as an example to figure out how to get snapping at doorways. 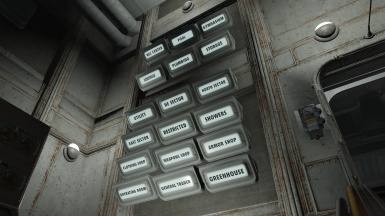 Disappointed in the lack of sign options in the Vault-Tec Workshop DLC? Me too! 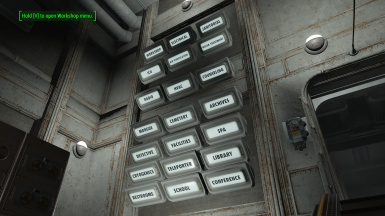 There are a lot more rooms/amenities that a Vault can have other than what Bethesda included. Upon searching for a mod to add more, I came up empty-handed...so I took it upon myself to make more! 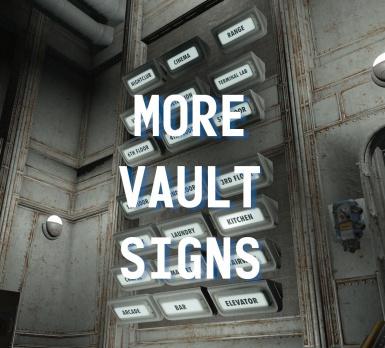 The signs can be found along with all the other Vault signs, in Decorations > Vault > Signs.